From the time you first allow your child access to a device whether they are 18 months or 8 years old, establish that you will be the authority of their electronic world. “This is the phone or tablet I’ll allow you to use …” may be a good starting point. Age-appropriate guidelines for time usage on devices should be set and clearly communicated. The proper response for requests to “hand me the phone” often need rehearsing. “Yes, mommy” is a good place to start. Clear, age-appropriate consequences for choosing not to adhere or cooperate should be created, administered and adapted throughout the process. 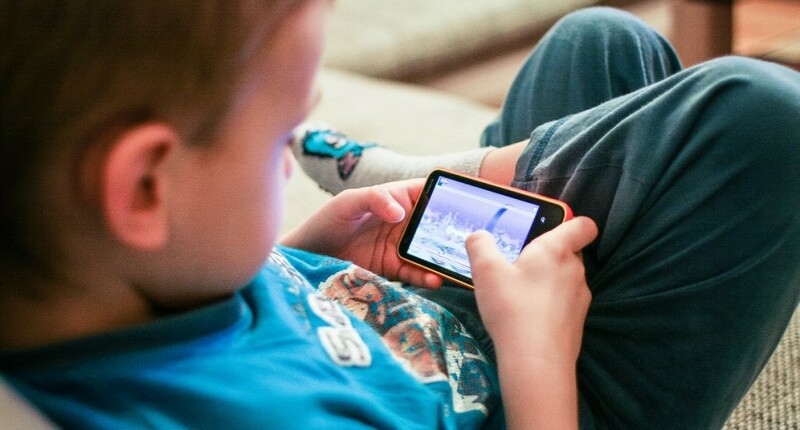 Screen time discussions help begin conversations regarding trust and freedom that will extend to personal cell phones and social media decisions as children age. Family media agreements are great for children who can read. Don’t forget to plan for media-free zones and time periods for all family members to maintain balance. In our counseling center, we are often asked about cyber addiction and a good measure is making sure your family has balanced free time involving social interaction, imaginative play, physical activity, spiritual devotion and the ability to self-entertain for age-appropriate periods of time. As the initiator of a large school district cybersafety program, I have witnessed the results of the unseen doorway into our homes and a child’s heart. Personal supervision is the best protection option. Technology use should be occurring within your visual and auditory range, and even older children should have intermittent visits to check what media they are consuming. Remember this is part of your child’s world, and parents should be connected to them even if when the conversation is about the wheels on the bus or how to build a home in another realm. You can also virtually monitor their devices as they age by using programs such as TeenSafe. Most devices need a password for downloads and certain changes. You are the only person who should have this password so anything added to the device or changed in settings requires your hands on attention. When busy, you may be tempted to share with them and then change it later. Resist the demanding voice as you are teaching patience in the process. Devices that children have access to should have the latest and best security to block unwanted access to your child’s eyes and interaction. As your child becomes more tech savvy, you will want to create a plan with them for when – not if – something inappropriate pops up. Giving them permission and even encouragement to approach you when a search leads to an unseemly link, prevents them from experiencing guilt and fear of your punishment, and provides the opportunity for important discussions about processing what they were exposed to and how to strategically prevent future occurrences. All of us are created with different gifts, and a “tech talk” may sound like a foreign language to you. If so, make friends with a colleague, the computer geek next door or that couple who is always up to date in your community. Ask for help and resources. “Show me how” is something I’ve said many times as my oldest is starting to branch out and ask me for downloads. Websites and blogs can also help equip you as you research the latest greatest educational apps and age-appropriate ratings: netsmartz.org/Parents, commonsensemedia.org, and klgreer.com. Now, with a preschooler and elementary-age child, I no longer experience guilt or embarrassment in public when our children are consuming media. Our family has chosen, by creating a structured environment for use, to no longer fear media but instead use it for redemptive purposes of education, personal and spiritual growth, social connection and entertainment. Michelle Nietert, M.A., is a Licensed Professional Counselor, Certified School Counselor, and the clinical director of Community Counseling Associates with multiple locations in North Texas. Resources on Michelle’s previous church and community presentations regarding parenting, women and children can be found at counselorthoughts.com. She can regularly be observed using technology to balance the juggling act of parenting and ministering in and out of the counseling office. We also use our Kindle app and have The Jesus Story Book downloaded on it and sometimes project it on our television so everyone can see the devotional book and read along.